Britney Spears took to her Instagram to ask her fans for prayers as her 8 year old niece, Maddie Aldridge, is in critical but stable condition after an ATV accident from over the weekend. 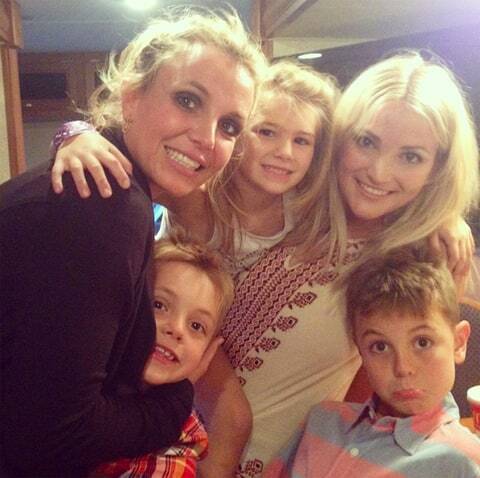 Maddie's mom is Britney's little sister, Jamie Lynn's, daughter from a teenage relationship. TMZ reports, "on Sunday Maddie was on a Polaris off-road vehicle Sunday when it flipped over, sending her into a lake where she was submerged for several minutes. We're told Maddie was unconscious and taken to a local hospital, where she was airlifted to a New Orleans hospital. Our sources say Maddie, the niece of Britney Spears, was seriously injured but doctors say she's critical but stable." Sending prayers to the Spears and Aldridge family during this tough time.